Hooray for that time of year! 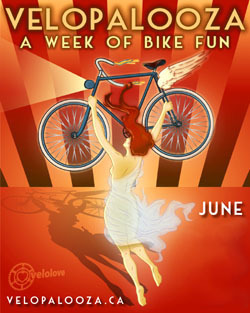 Yep, it's spring and so that means Critical Mass Bicycle Roll and Ride Street Festival! Come out and show Vancouver the meaning of Greenwash! This Friday, Today! You know the time and place. 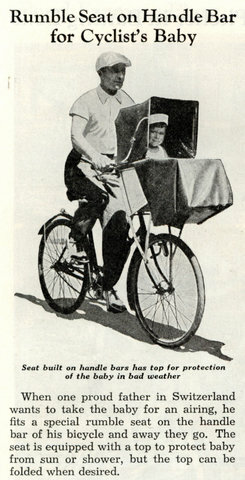 How was the ride in Vancouver yesterday? We had a fantastic showing for CM in Toronto yesterday. The sun was shining off the tops of helmets and folks were snapping lots of pics, laughing and singing lines from 'bicycle race'. It was nice. The ride ended at the community bicycle network, where Bicycle Bob gave a wonderful speech. 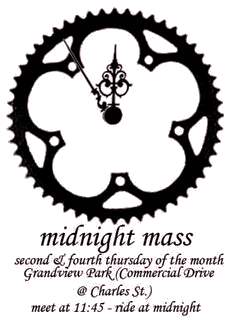 Critical Mass is This Evening! Stop Suburban Sprawl West of Victoria!